Socializing with friends is great for physical and emotional well-being, but if all of your get-togethers are at restaurants or bars, it can be hard to stick to a healthy eating plan. Try these ideas for having fun without placing the emphasis on food. Both you and your friends will benefit. Turn your brunch group into an arts project. Whether you’re quilting, knitting or crafting, busy hands can’t reach for snacks. If you’d rather look at art than create it, try going to different museums rather than bar-hopping with your friends. Want to get even more physical? Grab a few friends or another couple and sign up for a 5K or 10K race, and hold your own training sessions once or twice a week until the big event. Or choose a charity and do volunteer work as a group on a weekend afternoon. 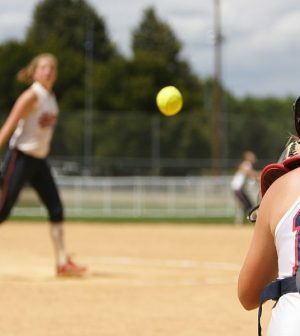 If you’ve been sedentary, step up to exercise with a more relaxed activity by joining a bowling or softball league. These are also great bonding options to do with co-workers if you want to socialize outside the office. Take along healthy treats for refueling afterwards. When you do want to get together over food, it’s easier to control calories and portion sizes if you do the cooking. Grilled chicken and fish in warm weather, and hearty vegetarian chili and stews in cold weather are easy options for large groups. You might even challenge each of your guests to bring a high-flavor, low-calorie dish to expand your palate without expanding your waistline. The American Council on Exercise has more ideas for engaging family, friends and co-workers in activity.